Intelligent Weighing LF Series force restoration laboratory balances blend reliable accuracy with an affordable price for a high end level analytical balance. The LF Semi-Micro laboratory balance is produced in Japan in one of the cleanest facilities you will ever see. The quality of workmanship and attention to detail is superb. Starting at the bottom of the balance, there are three support points, two of which are adjustable to provide leveling. The solid frame of the unit provides stability and robust construction to protect the mechanism. The floor of the weighing chamber is lined with high quality stainless steel and is fitted with a spill ring (to guard the internal components from accidental spillage), an anti-buoyancy plate to ensure air currents within the chamber do not affect the weighing results and a 3.15” diameter platter. There is plenty of room for large, awkward samples to be weighed in the 6 x 6.25 x 9.5” chamber. To assist with sample handling, the chamber is fitted with “crossover” sliding windshield doors to allow opening of the opposing door. If your right hand is full with a sample, you can use your left hand to open and close the right hand door. Talking of doors, all three glass doors are “split nesting”, meaning that they will not protrude outside the shell of the casing, thus saving space and guarding against accidents. The dual range balance offers analytical weighing from 0.01 mg to 0.1 mg, and reads in 9 weighing units, and Easy RES™ which allows you to change between three response times to suit your application. Equipped with many programs to match laboratory applications, such as statistics, GLP, density, parts counting, checkweighing, accumulation, automatic internal calibration, adjustable backlight levels, under balance weighing and Direct to Windows® via Serial RS232 or USB. The LF-225 DR is a complete solution to any laboratory request for semi-micro and analytical weighing performance. 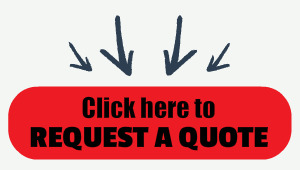 It is supplied with a comprehensive user operation manual to help you get the most out of your investment. The LF-224R balance offers analytical weighing up to 220 g x 0.1 mg, and reads in 9 weighing units, and Easy RES™ which allows you to change between three response times to suit your application. Equipped with many programs to match laboratory applications, such as statistics, GLP, density, parts counting, checkweighing, accumulation, automatic internal calibration, adjustable backlight levels, under balance weighing and Direct to Windows® via Serial RS232 or USB. 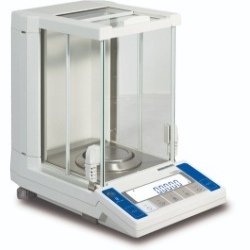 The LF-224-R is a complete solution to any laboratory request for analytical weighing performance. It is supplied with a comprehensive user operation manual to help you get the most out of your investment.